IPA Library is similar to a 3rd party app store but it’s not quite IPA Library is a free collection or library full of IPA files for iOS devices like the iPhone, iPod, or iPad. Historically it has been rather simple to jailbreak a device or acquire apps through 3rd party app stores like Cydia, but it has become much more challenging recently which brings about the necessity of IPA Library. IPA Library also boasts many benefits and cool features that other 3rd party app stores might not necessarily provide, for example, there is no need to Jailbreak your device in order to use IPA library. IPA Library is also ridiculously easy to download & install and is also extremely user-friendly. Finally, IPA Library is being constantly updated and news apps and content are being added on a regular basis. As I’m sure you have already guessed, IPA Library can’t be downloaded from the iOS app store, but don’t be discouraged because it’s still a piece of cake to do. 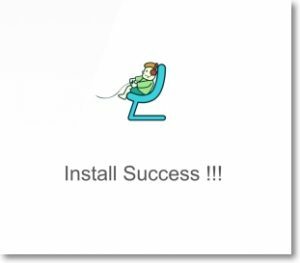 Finally, to complete the process you just need to tap install >> Next >> Done and you can start enjoying all the games and free apps from IPA Library immediately! Once the installation is complete you can enjoy! Since IPA Library is downloaded from an unknown source the safety of this method has been called into question. While we have never experienced any problems one should proceed with caution. 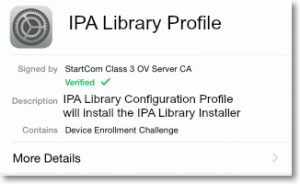 Unlike the standard app stores that scan and guarantee app safety, there is no such thing with IPA Library so proceed at your own risk. We had a lot of fun getting to know IPA Library and the apps within it. We found it to be a very easy to use and extremely useful workaround to acquire free and hacked apps at a time when jailbreaking smartphones and other devices are getting hard. We would love to hear your thoughts in the comments below and on Facebook!